The flowers—artificial and natural—are in bloom in the Veterans' section of the Calvary Cemetary. The city of San Juan Bautista is known for many things such as the mission, the state historic park, Fremont Peak, the deAnza trail, El Teatro Campesiño, the St. Francis Retreat Center, antique shops, restaurants, Vertigo coffee, and organic farms. A lot is packed in and around the small, beautiful city, which sits on the San Andreas Fault. Most definitely. 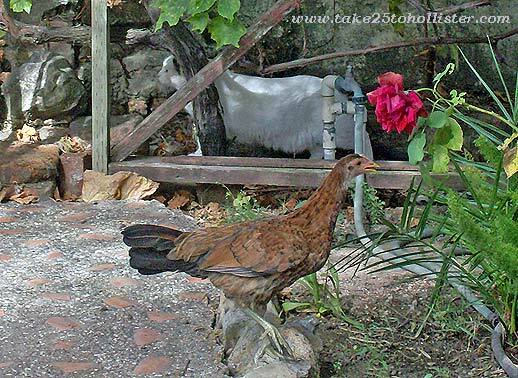 And, of course, I cannot, will not, and shall not forget to mention the feral chickens and stray cats that wander around town. They, too, make San Juan Bautista the unique place that it is. Upside-down flying, loop-de-loop maneuvers, and other death-defying aerobatics will be taking place at the Hollister Airshow this coming Memorial Day Weekend. You gotta see it to believe it! And, when you do, it'll still be unbelievable. 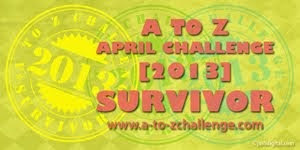 The event runs from 9 a.m. to 4 p.m. on Saturday, May 25, and Sunday, May 26. According to the schedule, the airshow starts at 11 a.m. and ends around 3:30 p.m. For details of the well-known performers, such as Vicky Benzing, Dr. D, and Eddie Andreini, check out this link. To learn about the specific times when performers will take to the air, click here. 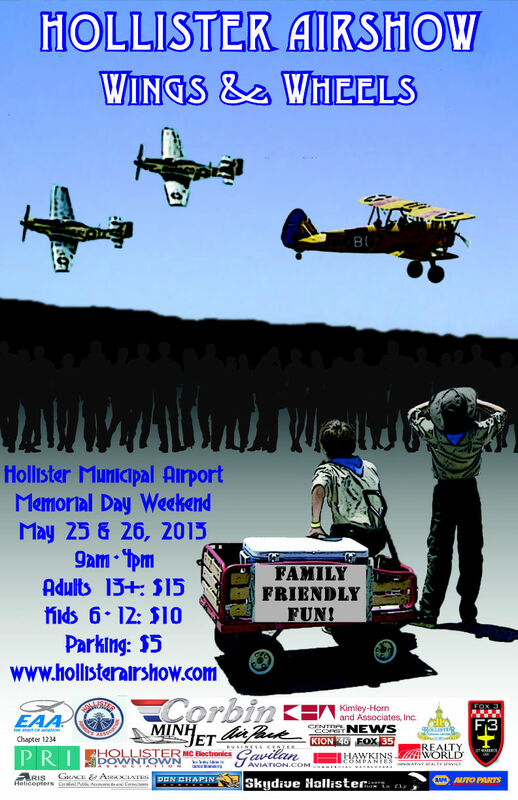 Tickets are available at the Airport Manager's office at the Hollister Airport throughout the week, as well as at the gate on the Airshow Weekend. Adult tickets are $15, and children (6 through 12), $10. Children who are five and under get in for free. Parking is $5. Cash only. 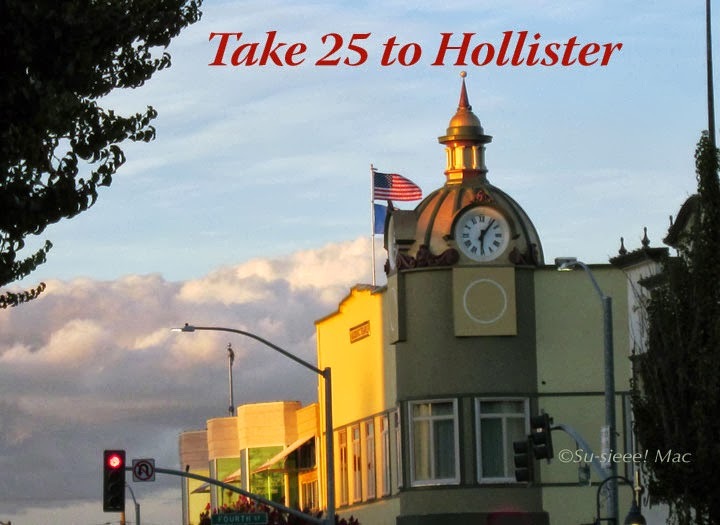 Free shuttle bus service is available from the Parking Garage on Fourth and San Benito Streets in downtown Hollister. The shuttle leaves about every 30 minutes from 9:30 a.m. to 4:30 p.m. (Note: parking at the garage is free.) An on-demand shuttle service is also available at Frazier Lake Airpark. 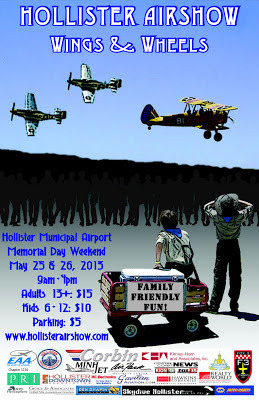 For more information about the event, visit the Hollister Airshow Website. To check out the gallery of photographs of past events, as well as videos of the performers and other aerobatic pilots, check out the Hollister Air Show Facebook page. 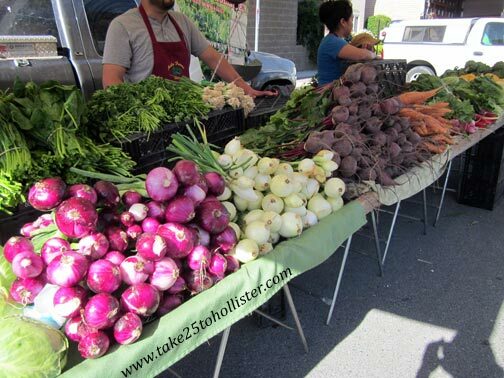 If it's Wednesday, then it must be the Farmers Market Day in historical downtown Hollister. Every Wednesday, from now until September 25, 2013, you can get your fresh local produce and meats, breads, sausages, honey, and handcrafted food and wares at our farmers market. It's open from 3 to 7 pm. The produce and food vendors are lined along Fifth Street, between San Benito and Monterey, with many of the take-out fare in the parking lot between Fifth and the lawn in front of the parking garage. On the lawn, you can find craftspeople and nonprofit organizations, as well as entertainment. 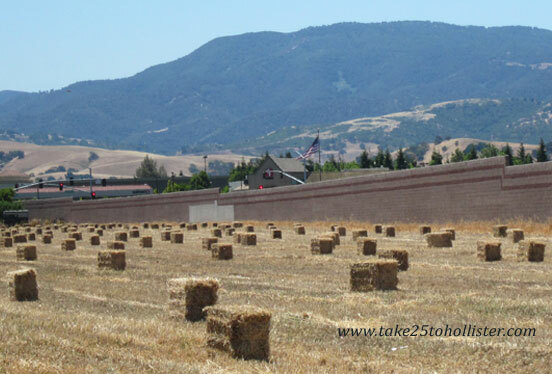 Does anyone else think it's too early to be seeing bales of hay? It would've been great if it had rained more this season. For information about our current water conditions in California, check out this link. And, for info and tips about conserving water, head over to the Save Our Water Web site. Save the Date for the San Benito Olive Festival! Are you ready for an olive festival in our own neck of the woods? Sure, you are! 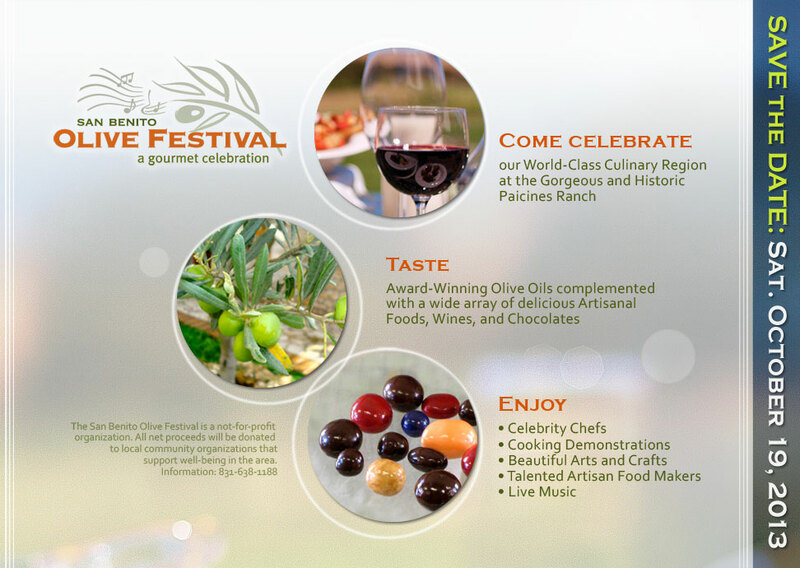 The first annual San Benito Olive Festival will take place October 19, 2013 at the historic Paicines Ranch. Save the date and please spread the word. Double click on the image to see the full version.